Bijon and Kam Memar, sons of a physician and experienced in the medical industry, understood the complexities of running a physician practice and the additional challenges that hospital-based physicians face. This understanding was the birth of a remarkable vision. 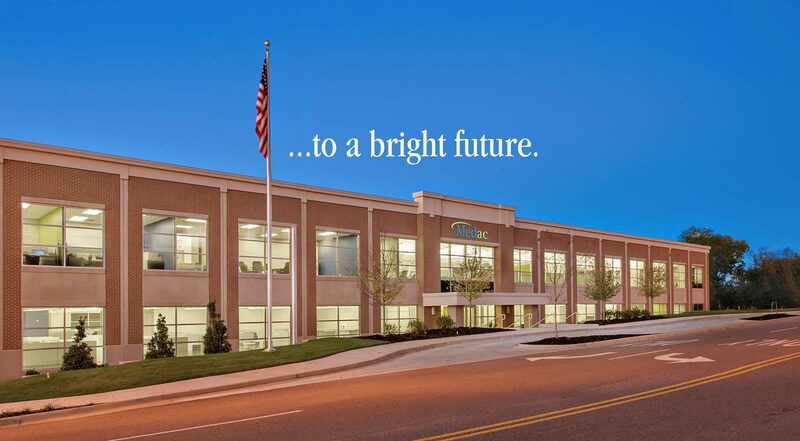 Headquartered in Augusta, GA, an area with a thriving medical community and access to a trained and stable work-force, Bijon and Kam built Medac. What began as a small billing company in 1992 has evolved into the most comprehensive anesthesia revenue cycle management partnership available to anesthesia and pain physicians nationwide. Medac has emerged as the leader in medical technology, regulatory compliance, managed care contracting and practice management. Medac, a privately held corporation, is one of the nation’s largest, independently owned, anesthesia revenue cycle management companies, dedicated exclusively to anesthesia and pain management. Medac’s revenue cycle management services are designed to assist clients with the business management functions associated with the delivery of anesthesia services—in particular, the billing and collection functions—thereby permitting providers and facilities to focus on providing quality medical services to their patients. Medac’s quality, results-oriented commitment to clients provides the most comprehensive and personalized service possible while optimizing reimbursement. Medac is a fully integrated, privately held anesthesia revenue cycle manager that provides reliable and innovative anesthesia business and technology solutions that enrich our clients’ lives. Medac provides business management services and information products to healthcare providers and has specifically marketed to anesthesia practices. Medac’s healthcare services are designed to assist clients with the business management functions associated with the delivery of healthcare services, in particular, the billing and collection functions, thereby permitting anesthesia providers and hospitals to focus on providing quality anesthesia services to their patients. Medac’s quality, results oriented commitment to clients provides the most comprehensive and personalized service possible while optimizing reimbursement. Supported by our core values of integrity, accountability, quality, transparency, and results, Medac provides comprehensive anesthesia business and technology solutions that improve the lifestyle, productivity and profitability of our clients and enhance their focus and ability to provide quality anesthesia care, better anesthesia outcomes, and greater patient satisfaction. Medac’s Kam® Technologies RCM software platform is designed exclusively for anesthesia and pain management providers. Our system is specifically designed to improve efficiency in both handling of bills and the percentage of bills recovered. Our philosophy of slow and steady growth as an anesthesia revenue cycle management firm as well as our position and reputation in the medical community are built on superior performance and personal service. Medac is a service-oriented company utilizing a staff of highly skilled and trained anesthesia reimbursement professionals to assist in the management of clients’ accounts receivable. Historically, Medac has proven to be the industry leader in billing and collecting a larger percentage of accounts receivable than other billing services for its clients. By utilizing our proprietary automated AR module, Medac is able to maximize reimbursements from the insurance carriers and will make the extra effort to file secondary and tertiary insurance claims as well as resubmit all unpaid claims. Medac employs a team of accounts receivable professionals, account representatives, anesthesia revenue cycle management professionals, and anesthesia practice management professionals to service each client confidentially, efficiently and profitably. Through ongoing attendance at seminars and training programs, Medac’s reimbursement teams are continuously updated on the latest regulatory changes in the insurance industry, which ensures virtually error free coding — key in eliminating the physician’s threat of fraud.